You know that dream trip you’ve been putting off until your children are grown? Here’s the skinny on why you can—and should—go right now and bring the kids along. These grown-up destinations are surprisingly kid-friendly. Don't let the "Sin City" nickname put you off. Las Vegas offers plenty of fun for kids. The place is a Mecca for over-the-top kitschy hotels where you can indulge in cheesy photo ops, from a gondola ride in a fake canal at the Venetian to a faux Egyptian pyramid at the Luxor Hotel. 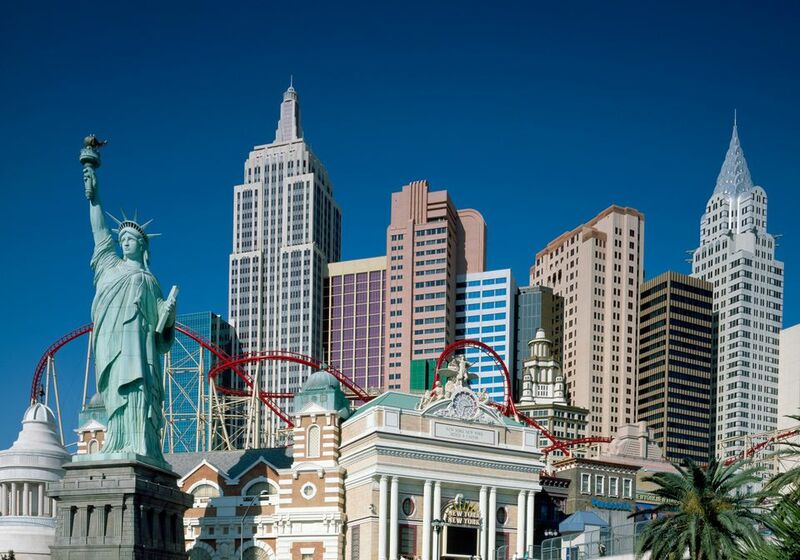 The city is also a theme park of sorts, with must-do rides like the Big Shot at the Stratosphere, Big Apple Coast at New York-New York, and Adventuredome at Circus Circus. Finally, don't miss the Shark Reef Aquarium at Mandalay Bay or the medieval "Tournament of Kings" at the Excalibur. Vegas's vast entertainment offerings, from Broadway-stye shows to magic shows to music acts, ensure there will never be a dull moment. Even if you've sworn off thinking about politics, our nation's capital is a fantastic destination for a family vacation, especially in springtime when cherry blossoms are in bloom. The national monuments are spectacular and fun to explore day or night. During warmer months, kids will love paddle boating on the Tidal Basin in front of the Jefferson Memorial. Must-see DC attractions for families include the National Zoo, National History Museum, Newseum and International Spy Museum. Over a dozen DC museums offer complimentary admission, making the District a surprisingly wallet-friendly choice. To visit the White House or the U.S. Capitol Building, you'll need to do a little bit of advance work. Tours of the White House must be requested through a member of Congress. Requests can be submitted up to six months in advance and no less than 21 days in advance. Tours of the historic U.S. Capitol building are free, but require tickets which are distributed on a first-come, first-served basis. Visitors can book tours in advance at visitthecapitol.gov. Tours can also be booked through a representative or Senator's office. Wine country with kids in tow? Absolutely, since many vineyards offer more than tasting rooms. The Francis Ford Coppola Winery, for example, has two swimming pools and the Castello Di Amorosa Winery, which resembles a medieval castle, has a coloring table for kids in the Knight’s Hall tasting room. In Rutherford’s Honig Winery, the owners have set up a special tasting area for parents, complete with toys, puzzles, and arts and crafts. You can get oriented to the area on the Napa Valley Wine Train, a restored 10-car, 140-seat antique Pullman train that departs from downtown Napa for a three-hour ride to St. Helena and back. The seasonal open-air Silverado car is especially popular with families. Also, the Scientopia Discovery Center in downtown Napa offers hands-on science exhibits kids can touch. Nature lovers can make the short drive to Calistoga to see the Old Faithful Geyser of California, one of three "faithful" geysers in the world that erupt regularly. Kids can run around on the property, which has a petting zoo with goats, sheep and llamas. If the words "New Orleans" makes you think of bars on Bourbon Street, it's time to bring the family along for a kid's-eye view of the Big Easy. In a country where so many of our urban areas look and feel similar, New Orleans is a one-of-a-kind treasure box filled with distinct music, exotic food, and colorful architecture. Perhaps most of all, kids love New Orleans because there’s so much their families can do here that they can’t do anywhere else, like riding on a streetcar or a Mississippi paddlewheeler or snacking on a beignet at Cafe du Monde. NOLA must sees include the Audubon Zoo, Aquarium and Insectarium. Miami has a reputation as a big-time party town, but it also delivers an easy family beach vacation. Get oriented with Duck Tours South Beach, a land-to-water tour in an amphibious vehicle. After a guided tour of the Art Deco District, the vehicle floats into Biscayne Bay. Wildlife lovers will love Jungle Island, home to 1,100 tropical birds as well as reptiles, primates and big cats. If you've got younger kids, put Miami Children’s Museum on your list. It has 14 galleries and interactive exhibits designed to get kids exploring their imaginations and creativity.